You are here: Home / Pilates / Pilates School / Classical Pilates / I’m a forever student! Krisna states she is a Forever Student, humble as she is, but this lady rocks. We are proud to have Krisna Lee Hanks (57 years young) on Pilatesglossy. Krisna has 2 nationalities; she is American ánd Dutch. She is co-owner/founder of East Bay Pilates in Emeryville, California. Krisna can be found at East Bay Pilates and Square 1 Wellness. I was introduced to Pilates at various times during my dance career, the first being as a young performer in New York City during the 1980’s. How did you get introduced to Pilates? Did your background have anything to do with it? Yes my background had everything to do with it, as well as my curiosity in movement. I started dancing at age 3 and from then on was hooked in anything and everything movement related. My first Pilates teacher in NYC was Deborah Lesson and a fellow dancer Amy Pivar, who rehabilitated herself after a serious dance injury. Where did you receive your Pilates education(s) and who was your teacher? I’m certified through Power Pilates, studied initially with Bob Liekens, Susan Moran, Allison Laundrie and Juliet Harvey of the Power Pilates team. Prior to my certification I studied with Marjorie Oron in The Netherlands, a superb teacher. Currently, my husband and I have the pleasure of studying with Lucero Barry of Pilates Works in San Francisco. Do you participate in workshops on a regular basis? If yes, what was your latest? What workshop inspired you the most? Most definitely I see workshops as the bread and butter of life as a Pilates’ instructor. One needs to stay inspired and invigorated, both from a teaching perspective as well as a genuine Classical Pilates’ enthusiast. My most recent workshop was Summer Camp in Los Angeles at Vintage Pilates this past July, with Jay Grimes, Karen Frishmann and Sandy Shimoda. I’ve also studied extensively with Bob Liekens. I have a duel career, owner/founder of a Pilates’ studio and health & wellness consultant for companies. I see these two avenues of my work as highly complimentary. I’ve always been interested in coaching and training individuals. Classical Pilates is for me the ultimate training program for any age and or level of fitness. I enjoy the one-on-one interaction that Pilates’ instruction offers and the results individual’s gain is very rewarding. On the other hand my work in worksite wellness offers the chance to assist larger groups in building healthier lifestyles. 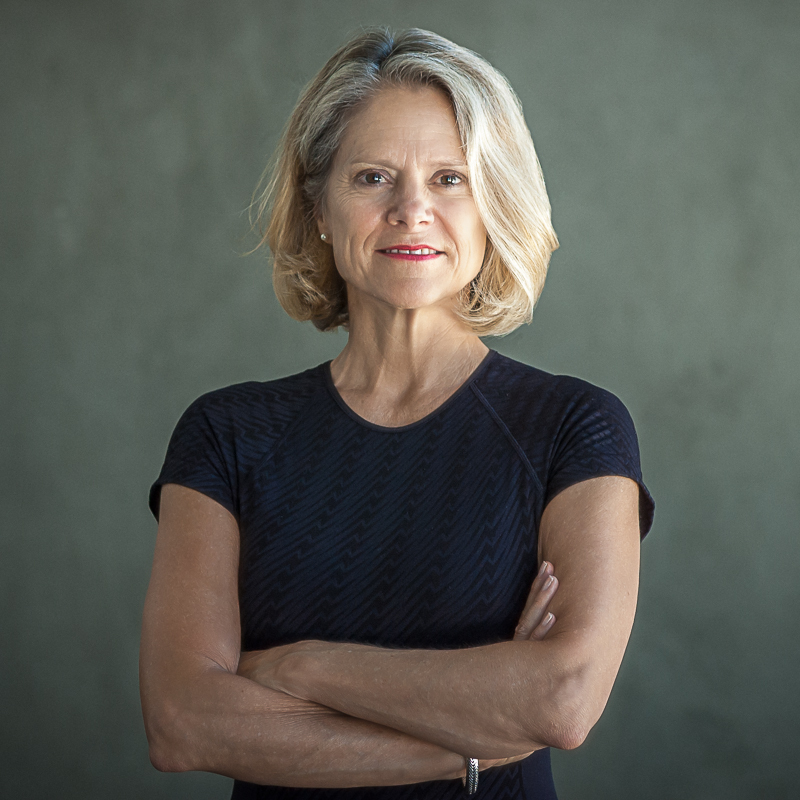 It’s no secret that health is a complex progress and the more that our work environments and personal fitness paths connect the better. For example, right now I work as a subject matter expert for the Center for Disease Control (CDC) in their Work@Health™ program. This program assists companies in learning how to design, plan and implement a worksite wellness program. I currently work with 10 companies and organizations in the Northwest Pacific Region. Do you own a studio or multiple studios? If so, can you describe it, where it’s located, what apparatus you use? What did you have to invest (people, time, money) to get your studio running? Yes, my husband Robert Surenbroek and I are the owners of East Bay Pilates in Emeryville, California, in the San Francisco Bay Area. We also run the Pilates program and have for 10 years, at Pixar Animation Studios. We opened our business with our own money, time, sweat and bootstrap mentality. We had a live/work loft in the beginning thus, living and working in the same space. What Pilates apparatus or exercise is your favorite and why? What is your favorite brand of apparatus (Gratz, Peak Pilates, Balanced Body, Stott Pilates, Basi, Basil or other)? My absolute favorite brand of apparatus is Gratz. When we first opened our studio (10 years ago) we purchased Peak Pilates, which served us well in the beginning. However, I feel for the real work Gratz is it; a better workout, enhances the classical exercises, and overall makes real changes in client’s bodies. The rest I feel is just masquerading as Pilates’ equipment. Do you experience difficulties keeping your clients because of the current crisis? No, there are always ebbs and flows to a studio, due to holidays, work issues and travel schedules as well as personal and family needs. This is part of the business and a slice of what keeps it fresh and diverse, there are no two days alike! Did you start your own educational program? As I mentioned I work additionally in the worksite wellness arena and give workshops in that sector as well as in Pilates. I have a couple degrees in Kinesiology (BS and MS) and enjoy teaching anatomy for Pilates, Yoga and other fitness programs. During my couple decades in the Netherlands I taught anatomy for the Iyengar Yoga Teacher Training Program, headed then by Nanda Peek-Thiel and Cle Souren. Currently, the most recent workshops I have taught are Mobility vs. Flexibility, Anatomy Basics for Power Pilates, The Perils of Sedentary Behavior and numerous topics for the Tri-State Wellness Summit in Quincy, Illinois. Did you solve body issues or do you keep them under control with Pilates? Solve? I’m not sure as moving beings we ever really “solve” body issues. I think it is a moving target that needs constant, dedicated attention. I’m 57, with decades as a professional dancer, which was preceded by a childhood of gymnastics and cheerleading. Thus, I have a lot of miles on my body, particularly hips and spine. A committed Classical Pilates exercise regime is integral to my physical wellbeing and mental spirit. That said as one ages the variety in physical exercise is crucial to not put unnecessary stress on the bones and joints. Therefore, I swim, hike and have a great massage therapist whom I see regularly. Is your focus on private, duets or trio sessions or do you prefer to give mat classes? As a Pilates’ instructor and studio owner my main focus is privates, duets and semi-privates. I feel utilizing only one component of the Pilates method, such as just the mat or only reformer, compromises the real work. However, in some situations that might be all the company or organization has space or desire to offer. For example, at Pixar we offer only mat classes onsite and those who want to experience the full work come to our studio. It’s a nice balance but we are able to do this due to our approximate location to their corporate headquarters. Who is your favorite person that you would love to teach Pilates? I think of it differently, I’m a “forever student” I would have loved to take a class from Joe as well as Clara. I’m fascinated by her dedication as well. We know a fair amount about Joe but Clara has always intrigued me. In the background, assisting everyone, particularly those Joe did not want to deal with. I can imagine her eye was super sharp in addressing particular body issues. I would have loved to have been at the studio when she was there, as well as have her critique my teaching. We have a definite majority of female trainers in the US, particularly here in California. It was the same in the Netherlands when we lived there as well. That is why I am a firm believer in studying with male teachers, like my husband Robert or Jay Grimes, Bob Liekens and others. I feel it is vital to understand the male interpretation of the work since a man developed it. That said there are some brilliant female teachers out there with experience, dedication and authenticity whom I enjoy learning from. I see the future of Pilates as vulnerable. I speak here about the future of “Classical Pilates” specifically. On one hand I see growth and steadiness in the Classical community, yet on the flip side there is a big market for trendy hybrids. Particularly younger individuals are often looking for the latest and greatest in fitness fads. They want to be part of popular programs with flash and flare, not necessarily wanting to dig deeper into the work. Which is fine, those are priorities that fit with a certain age and lifestyle. Classical Pilates demands consistent, hard work. It’s an exercise method that takes dedication, humbleness and willingness to stay true to the method. Those are not necessarily qualities in sync with our current society. We (and now I speak of the USA) have a tendency towards the extreme, meaning want a quick fix, effortless approach that yields immediate results. That’s unrealistic with Pilates. You will get results with Classical Pilates, but it takes time and commitment. The future I believe is contingent on discipline; individually and globally, something in short supply at the moment. What is your own vision of Pilates? My vision of Pilates, is very much in line with Joseph Pilates quote, “Physical fitness is the prerequisite to happiness.” I grew up with parents who role-modeled active lifestyles. Our father was a very successful basketball coach in Illinois and my Mother, had her own independent fitness regime, which she adhered to religiously. In addition, my brother has always been in incredible shape and loves working out. So for me exercise has, and always will be part of my life, it is who I am. Pilates offers me the chance to fully enjoy a vibrant lifestyle; participate in outdoor recreation regularly, be motivated and productive at work, have energy over at the end of the day to enjoy friends and family. Most importantly, work for me should be something one is passionate about. The ability to improve the quality of life for individuals through movement is a passion of mine. I suppose that constitutes a vision or better yet, gives purpose in life. Do you cooperate with other Pilates’ instructors? If yes, who? Yes, at present our studio is a host-training center for Power Pilates. This means we offer the comprehensive certification courses at our studio. We cooperate with Allison Gonzalez owner of Purely Pilates. Also, my husband and I take regular lessons from Lucero Barry, co-owner of Pilates Works in San Francisco, an excellent Romana-trained teacher. 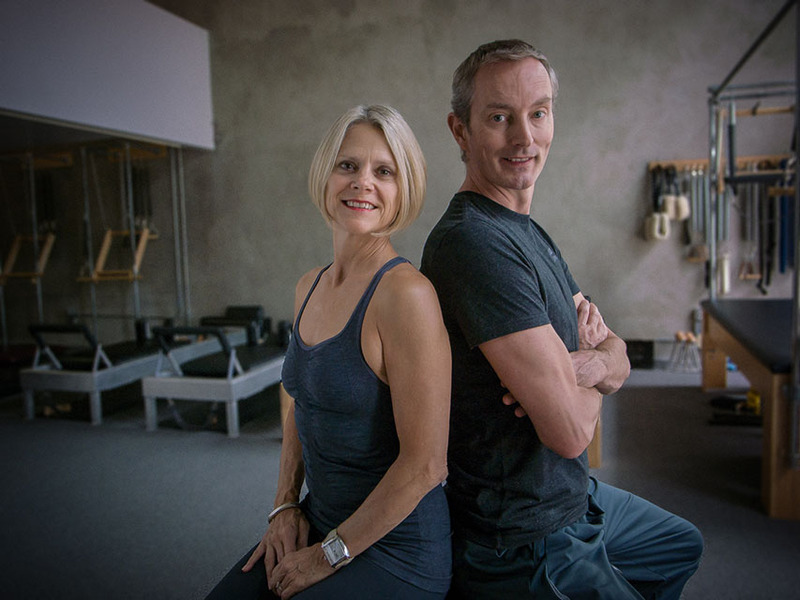 In addition, we are avid followers of Vintage Pilates in Los Angeles, led by Karen Frischmann and Sandy Shimoda, under the tutelage of Jay Grimes. We also offer a variety of guest instructor workshops in the Classical Method at our studio to help bridge the gap between studios. We hope to have Frank Zito in the fall teaching some of the men’s exercises. Which Pilates word you rather not use? None, I feel it’s easy to make “villains” out of certain words that seems like a waste of energy. For example, stomach might be appropriate for a certain client, while abdominals for others. But if you get the results desired using either one, there really isn’t a “wrong” word in my opinion. I know that various Pilates methods prefer words over others but at the end of the day it is what gets your clients moving, understanding the exercise and having joy in movement. I’ve always been what I would call kind of “strict” as a teacher. (Some of my students are laughing right now!) That probably comes from the influence of my father’s coaching style as well as the countless incredible teachers, in dance, gymnastics and Pilates that I have trained with over the years. A quote from one of my earliest dance teachers, Louise Williams, “It’s better to learn proper technique early on and then later, if you desire, you can let it go.” I’m completely convinced having good technique is how and why I was able to have such a long career, (close to 30 years) as a professional dancer. I feel you do your clients a service by being strict, especially in the beginning period. Plus, it’s not that we don’t have fun at our studio, we laugh a lot. I believe attention to detail, strive for the ideal form but always, always BE SAFE, never sacrifice proper alignment for the latest trend in Pilates. Stick to what Joe designed and let the movement method speak for itself. What is the biggest insight Pilates gave you? It reinforced my belief that everyone can move at any age and with any level of fitness. And you can start at any age. I have a dedicated client, Kathleen, who started with me at age 65, five years on she is still going strong and looks amazing, the poster person for you can start anytime, just be brave, consistent and open to change through movement. Insight and believe in the system is a treasure I’ve gained from Pilates, Joe and Clara were brilliant. We just need to get out of the way and share Classical Pilates with as many bodies as humanly possible. Who is your biggest example and whom would you love to meet (again) in the Pilates field? As I mentioned of course Joe, who wouldn’t?! I would also loved to have met Clara. She’s the quiet one in the background with much to share. I’d enjoy a cup of coffee or a glass of wine with her or better yet a private session! I’m most familiar with Europe since I lived there several decades and have dual citizenship. The advantage to a movement-based system is body language is universal. That said there are always slight cultural variations in the intensity or approach to the Pilates system. I’ve found, in general of course, that there is a higher regard for the Classical System in Europe than in the US. Maybe it has to do with the rich tradition of apprenticeships and classical learning styles inherent in Europe and the bigger push towards innovation and “newness” in the US. No, however I consider Jay Grimes to be as close as one can gets to the “vibe” from Joe’s studio. I continue to study consistently with Jay, as well as the crew from Vintage Pilates. No, but I would have loved to see the expression on some clients faces when asked to don a speedo before participating in their Pilates’ session with Joe! Do you expect to keep on practicing Pilates and keep on giving classes? Absolutely, I have the great advantage that my husband, Robert Surenbroek is also a Classical Pilates’ enthusiast. Thus, the two of us together plan on keeping the Pilates’ flame alive as long as physically possible. Are you available for bookings in The Netherlands? YES! When my husband and I immigrated to the US we hoped at that time to be able to travel more frequently back and forth to The Netherlands, somehow life gets in the way. We miss our Amsterdam friends and family. Can you tell us something about your conditions and the things you want to offer? 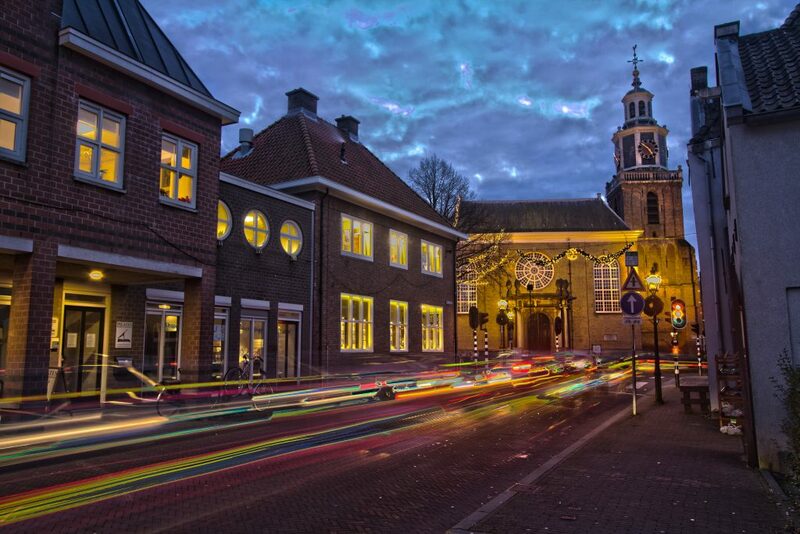 I’d love the opportunity to offer workshops in The Netherlands. It would be dependent of course on what the studio needed or feels is appropriate for their clientele. And would add I speak Dutch fluently and can teach in both languages. Certainly it is always interesting to offer courses for Pilates’ teachers, however, I also enjoy working with individuals who have never experienced the method as well. In addition, having had a long career in dance I enjoy teaching young dancers and performing artists looking to stay on top of their game. For example this summer, I taught a young dancer, who utilized the summer months to build a stronger body, in the hopes of launching her ballet career. Another passion of mine is working with sports teams, yes, I would LOVE to teach the Dutch Football team! Being a huge fan, that would be incredibly exciting! Hup Holland Hup! No plans yet for a book, but have been putting thoughts on paper with my two blogs. I have a Pilates’ blog as well as a health and wellness blog both of which I try to keep fresh and current. This a well written and inspirational presentation. Krisna Hanks has maintained her focus for many years, and so she is an example of the wonderful expertise and progression that occurs with extended focus. I like how she integrates with the local community, entire nation and international community. Some of my favorite experts have acknowledged that information exists in many places so its important to think broadly, across all borders and capture ideas within related professions. As a physical therapist, my comment is that Pilates dives deep into the contributing factors of back problems, and I especially like the integration of thoracic spine mobility. Thank you so much Bob. I’m honored to have had the opportunity to work with you over the years here in our community. Your constant drive to educate clients in total body mechanics and not only the isolated injury is truly inspirational. Our instructors have gained incredible insight through your teachings and the positive results gained by numerous clients speaks volumes for you and your team’s talent. I have known Krisna for more than 20 years – we met as dance colleagues and later worked together as communication trainers for multi-national companies based in The Netherlands. This article attests to the unique wealth of knowledge and experience Krisna brings to the field of Pilates and Health and Wellness. With her expertise and international background, Krisna would be an ideal resource for Dutch companies who are interested in creating Health and Wellness programs for their employees.